Love your patriotic colours....and the addition of the tickets. I quite often make double page layouts....and it's usually because I have too many photos for one page! I was thinking the same about the die-cut paper :) I particularly like the way it links the two pages together. I haven't done ANY scrapping lately :( But I just ordered a batch of photos and I can feel a burst of creativity coming on...! I love two page layouts. I usually start with my photos and then look through my templates to see if anything is inspiring me. 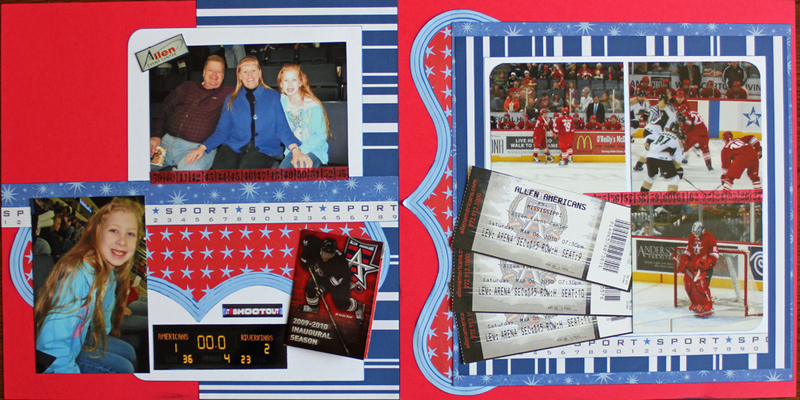 You did a great job with the template and I really like how you included the tickets. 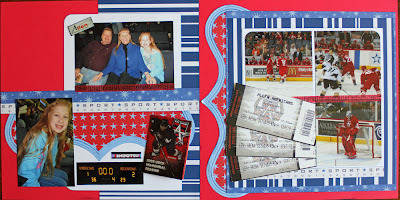 Love the bright colors of this layout, and the inclusion of the tickets worked perfectly! I've made a couple two-page spreads recently and have another one in the works. Two of them started with digital photo templates since I had SO many photos! I love that you used red, white, and blue. They are my favorite layout colors. When I do a DLO I usually start with the story and realize the photos will take too much room. Sometimes I shrink the photos but more often I spread out instead.